How teachers and educators can engage and communicate with families. Early childhood educators are often asked how they engage and communicate with families effectively as a regular process. 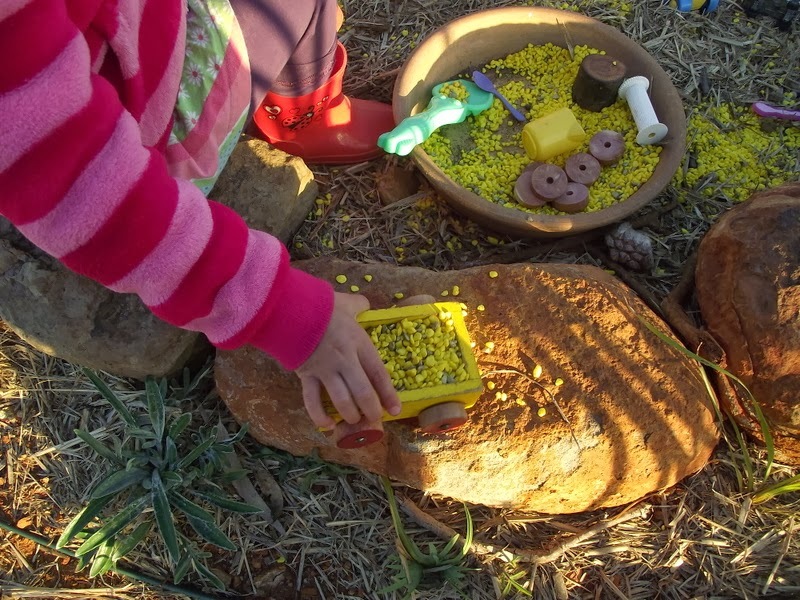 It is certainly an important part of every early childhood educator’s role and service provision. 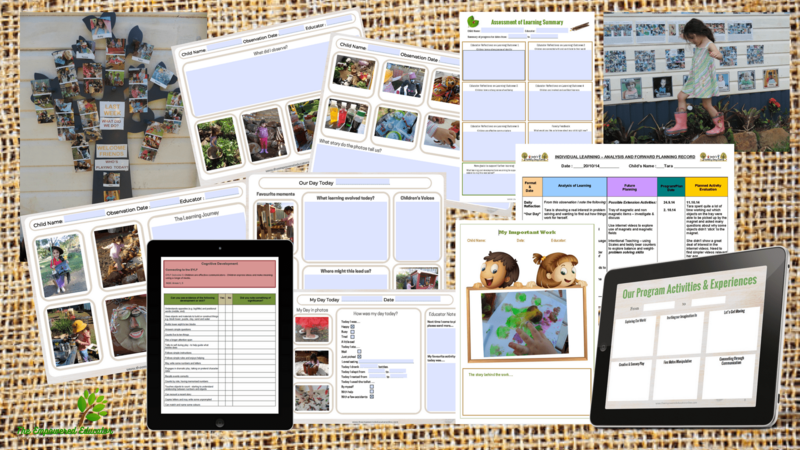 No matter where in the world you work with young children it is usually considered best practice and part of early learning guidelines and frameworks for educators to find ways to not only communicate with families but also engage and involve them in their child’s learning journey. However, in today’s fast-paced society where many parents and carers work long hours both inside and outside the home, communication and engagement can prove harder than it sounds! Families are busy, pick up/drop off times are usually frantic and rushed, paperwork and letters from teachers are just another thing to read on the ever-growing pile and it’s easy as an educator to feel you should just give up trying. I know this because I am speaking from the role of educator as well as a parent! It can be frustrating being told you need to communicate with families better and then trying to think of new ways to get them involved in your service and the important journey their child is taking but it is something worth persevering with because not only is it important to the children it is important to the health and growth of your home daycare business. When children and families feel a connection and sense of belonging to your service they will share the good word with others and keep coming back to where they feel supported and happy. Ok, I hear you… “I’ve tried everything and it’s still not making much difference!” Feel like I am in your head? 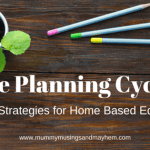 Well, that’s because I get many messages and emails about this topic so I thought I would share a few ideas for you – some you will have tried and others might be a revelation (well perhaps not… but humour me anyway!!). What is worth remembering though is that times have changed, we now live in a fast-paced digital era that tends to embrace the ‘give it to me quickly I have something else I have to get done’ thinking. 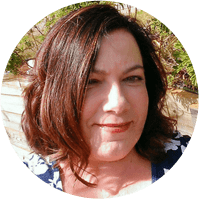 Instead of fighting that outlook you need to find innovative ways to work with it – find ways to communicate that also allows parents and carers to engage and really understand what you are trying to tell them when they have the time to do so. In ways that deliver information in quick and easily digestible formats. It’s important to persist because if families are informed it will also help the children to feel a sense of agency and belonging within your service as they will be able to share their day with their educators and with their parents from a place of inclusion and security. I actually list parent communication as one of my questions to consider and ask when choosing quality child care. You can read more about the questions I feel parents should ask when choosing care HERE. 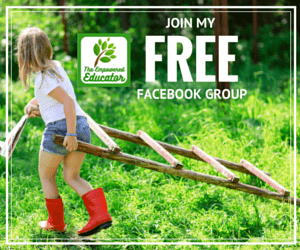 Let’s take a look at my top 12 SIMPLE strategies for not only communicating with families but also engaging effectively with them! 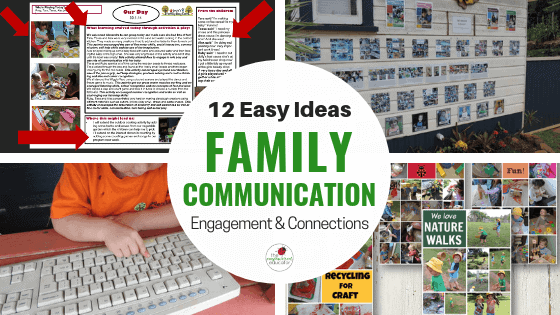 12 Easy ideas to help educators engage & communicate with families. 1. 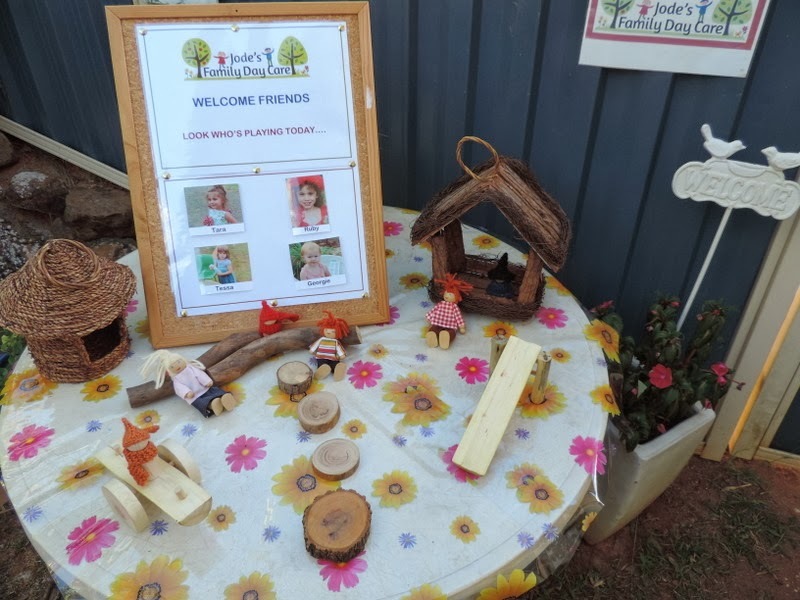 First Impressions – Make sure the space your children enter the care area is welcoming and provides visual stimuli to connect with parents immediately even though they may be rushing through the door. This goes double for the sign in area – forget the long winded notes on the noticeboard and signs everywhere (yes I know there are what seem like a million we already have to display!! ), they are very easy to ignore though when you are running late for work or have an emotional child in your arms. Make it visual and make it about the families and their children. If you want to get an important message across there are better times and methods of achieving this. 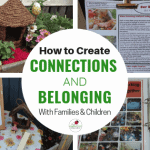 Allow this space to be about engagement and fostering a sense of immediate belonging. 2. Communicate & share with the children first – Children love to share their work, achievements and play with those they love but don’t always have the language or social skills to do so yet. Make it easy for them to engage with their friends, parents and carers to share their day. 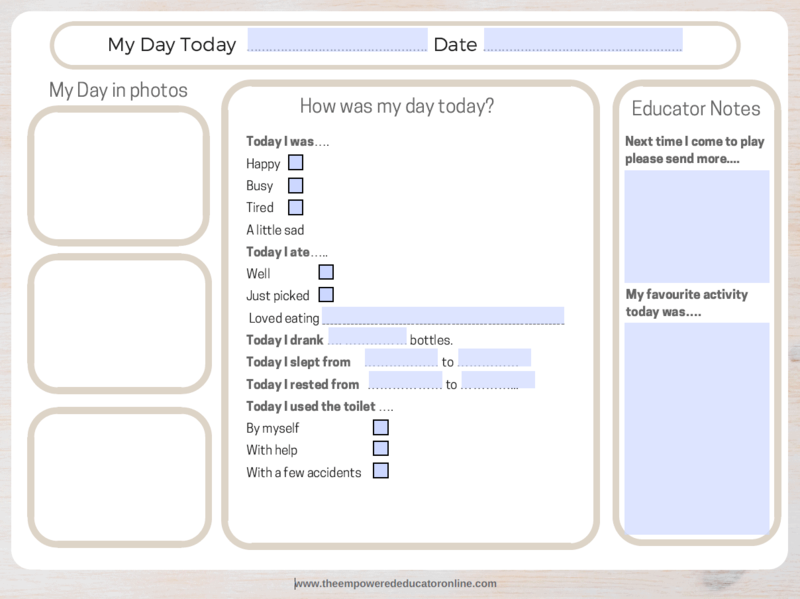 Use photo books, photo collages at the child’s height and send home forms like my ‘Our Day’ and ‘My Day’ communication tools with plenty of photos so that when they get home parents have a launchpad to share with their child about what they did that day. You can also send home special books, toys, plants and other treasures that the child has been using and that you know they will want to share and talk about with their loved ones. 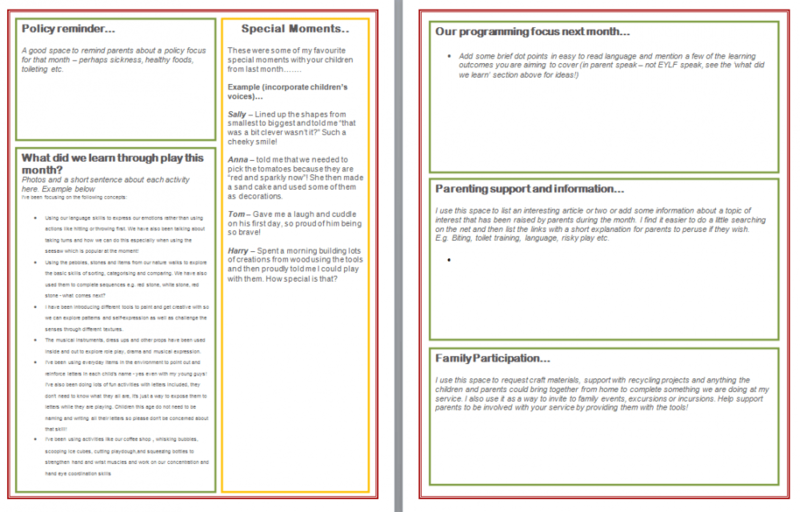 You’ll find the parent communication forms I use in my planning cycle template pack HERE. 3. Be respectful – The majority of parents you have connected with your service will want the absolute best for their child, they will want to be involved more, they will mean to read everything you send home and you will know that just because they always seem rushed or busy doesn’t mean they don’t love their child. When you speak to families ensure you use a respectful tone and your body language is relaxed. Sometimes this is easier said than done – (you need to get an important point across I know!) but you can still be an assertive educator while also being respectful and recognising that the parent is the child’s main caregiver and first teacher and it is essential to remember that. What you will probably find by employing this tactic is that they respond to this tone and ‘switch on’ to show they are indeed worthy of this respect you are giving them in the role that they play. 4. Send mobile friendly newsletters – I still love the old fashioned newsletter you print and pop into bags as a communication tool as well but it’s hard to know if they are being read and they aren’t exactly great sustainable practice if they are not even being utilised (all that paper and ink!). By using an online email system like MailChimp (free) you can email digital newsletters that can also be read easily on mobile phones and tablets and you can also see how many parents are actually opening your newsletters and how they are engaging with them. 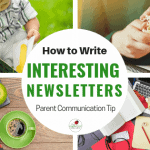 If you love to create simple newsletters though to send to parents you can download my free Word template here to get you started. 5. Set up a group Facebook page set to private – share photos, reminders, activity ideas, what you have been up to that day and much more. Allows parents to communicate back with you, share in their child’s day and perhaps spark conversations and discovery when they get home. Just be aware that not everyone is using Facebook so I don’t recommend relying on this as your sole method of family communication and engagement. 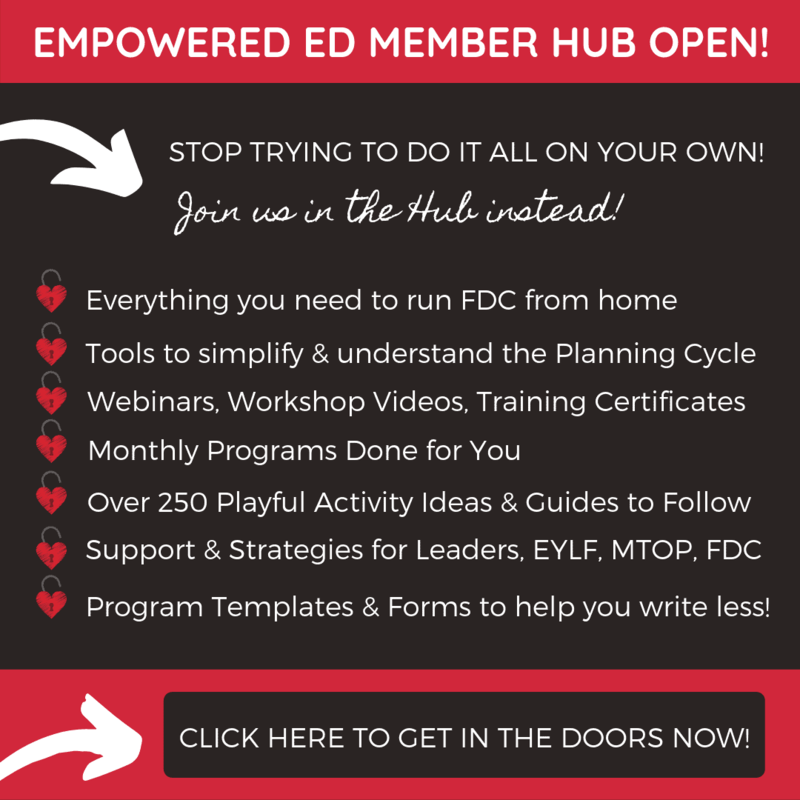 If you currently subscribe to the Empowered Ed Member Hub make sure to check out the toolbox videos on setting up a Facebook Page & Facebook Group for tips and suggestions as I walk you through the process step by step. If you are not a member you can join our VIP waitlist here to be informed when we open doors again for enrolment! 6. Send alerts and reminders via text messages or apps – I would caution discussing this method of communication with parents upon enrolment though as not everyone can receive (or likes to receive) text messages or alerts while working or busy during the day. Educator’s also want to be very clear around guidelines for using this method – I advise making sure parents and carers are aware that your phone is turned off to business messages and calls after 7pm and only turned on again at a specified time in the morning (or whatever suits your family and business hours). It can be a valuable communication tool but don’t set up bad habits that will cause you frustration down the track. 7. 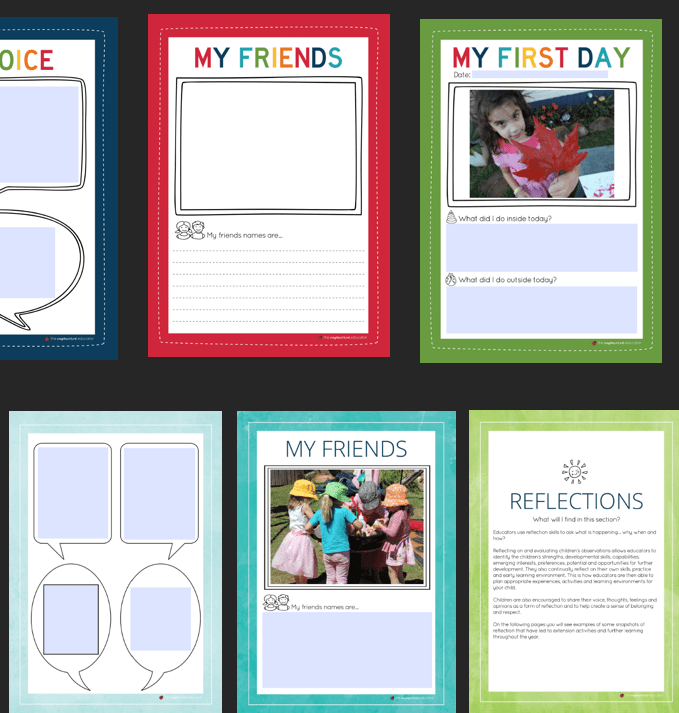 Use cloud based services such as Dropbox or Google Drive to share photos, digital portfolios and daily communication tools like the ‘My Day’ and ‘Our Day’ forms I created for use with my family day care families (I have also used them in school-age care and long day care settings though as well). Be wary of spending money on fancy ‘parent communication’ tools and apps. Obviously, they have their appeal but you can achieve much the same thing by sending a few text alerts/photos or sharing your daily parent communication forms to a free service such as Dropbox without forking out money each month on apps and similar systems or spending a lot of time on it. It is still a form of 2-way communication and easy enough for parents to engage with on their own time. 8. Start a basic blog or website and use it as a tool for sharing the great work that you do – families will know that it is always there to browse and engage when they can in their own time. It also acts as a wonderful promotion and advertising tool! 9. Survey parents to find out how they like to communicate and engage – is there a particular form of social media they most use? Do they check their emails regularly? Are they more likely to see a text message reminder or email or note in the bag? 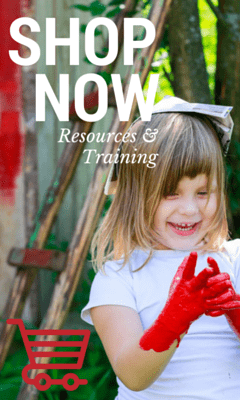 Find out what you need to know about how your families work to better use your own time when communicating. 10. Love Pinterest and pinning? Use it to communicate! 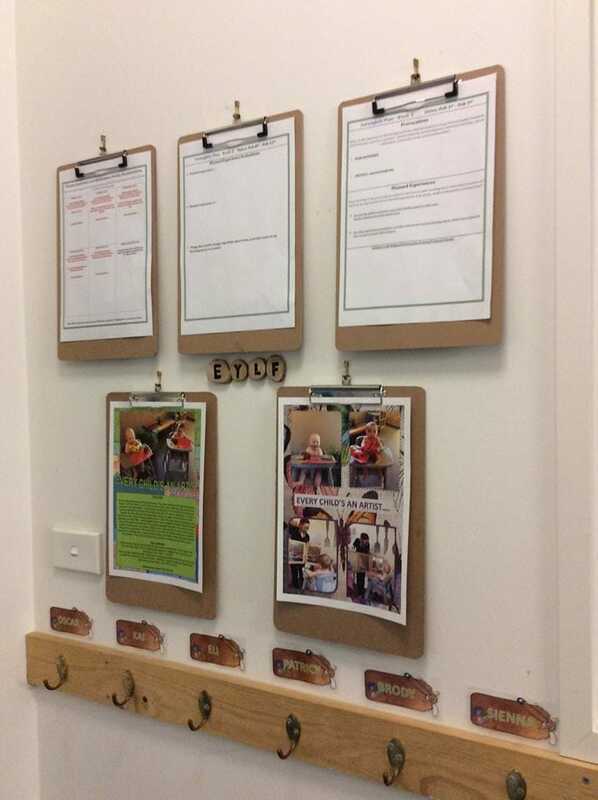 Why not set up an account for your early learning service and add boards that relate to and will be of interest to your families and age range of children. 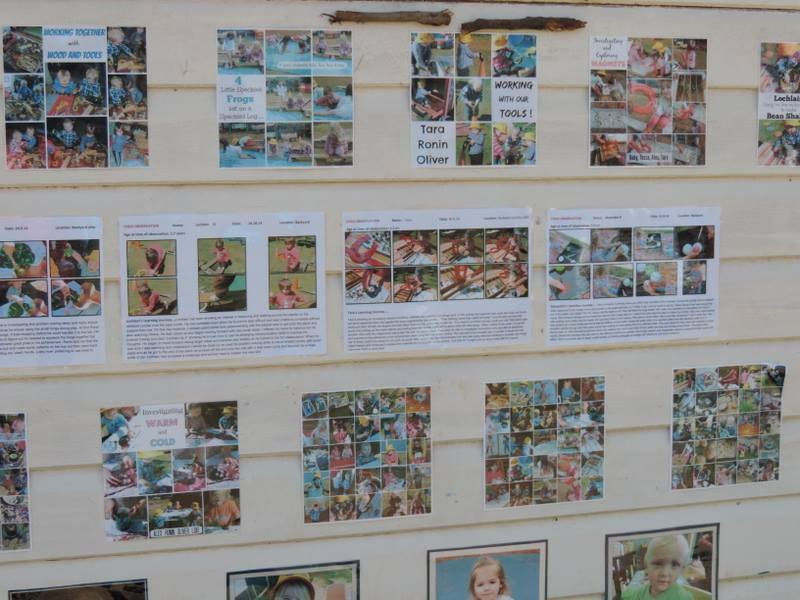 Think ‘Weekend activity ideas’ ‘Books I recommend for toddlers’ ‘Outside play ideas’ ‘Parenting education’ ‘Toilet training tips’, ‘Benefits of messy play’, ‘Lunchbox ideas’, ‘Family meal recipes’. 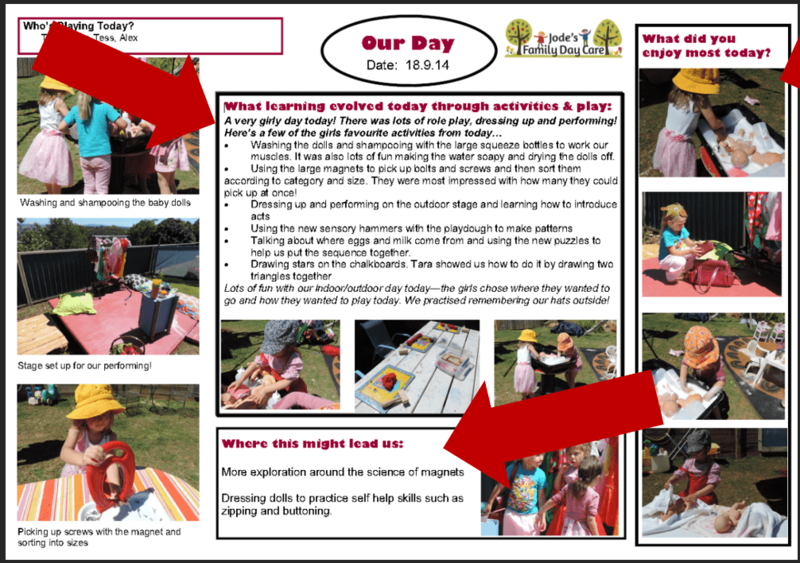 You could also offer the option of turning 1 or 2 of your boards private and adding parents as pinning collaborators. Not interested in opening or sharing a Pinterest account? 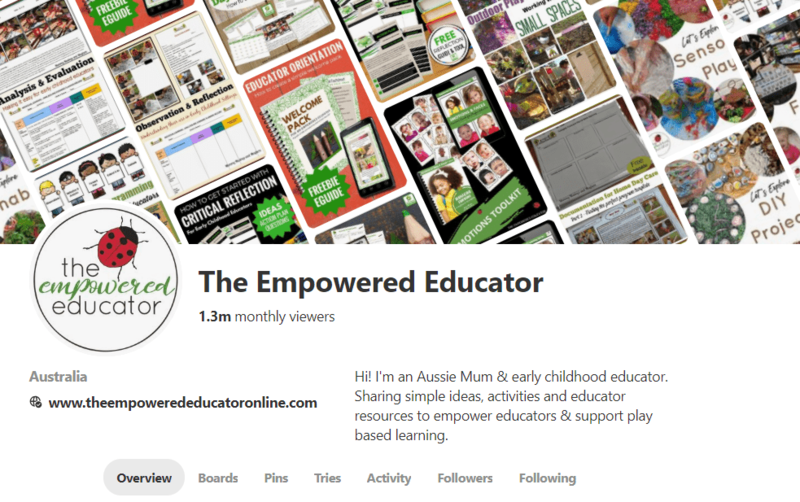 Why not share links to boards or pins that inspire you or help you to get a message across in your newsletters or in your Facebook group? I often did this in my newsletters to parents so they could just click and explore something that interested them or that I was secretly hoping they would want to learn more about! !Help families to extend their own education and awareness. 11. Talk without a preconceived agenda. One of the best ways to engage and get the interest of parents is to talk about their children. Often. Just chat with no expectations or agendas – be there to welcome them in the morning and greet the family and be there to tell them briefly about the day at sign out time. If you need to talk about something important or really need a parent’s undivided attention then arrange a time to meet with them or call on the phone – don’t try and get it done at this time of the day – it won’t end the way you want it to #just sayin! 12. Understand that not every family can contribute in the same way…and that’s ok! Always consider language barriers and cultural differences and try to find other ways to engage and understand. The parent who works long hours with no extended family support may love to cook with her/his children but can’t visit your service to share this skill – perhaps she/he could be encouraged to share a favourite recipe by writing it down or bringing in a picture so you as educator can cook a treasured family recipe with the group. 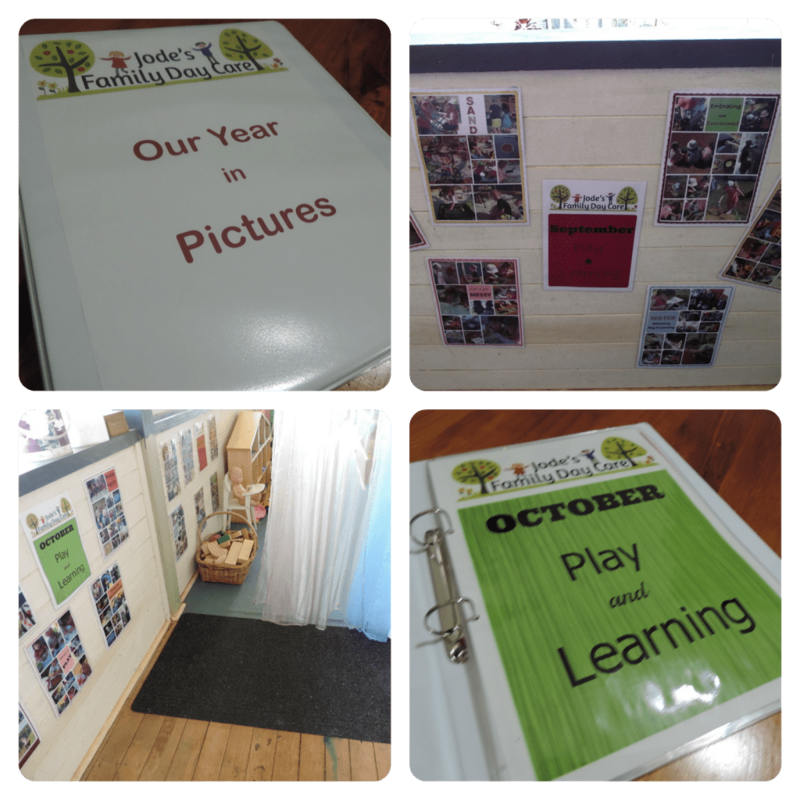 Share how it went with the addition of photos for the parent to talk about with their child later. The parent who doesn’t speak English or who hasn’t been in the country long might be able to share and label some photos of everyday items in their language that the educator can then share with the child and group. The educator might then send some cards made with the children and labelled with the English words home to share with this parent. The family that loves to garden might be encouraged to share some seeds or produce harvested from their garden to share with the children. The possibilities are endless – just because someone cannot engage in a way that seems obvious or easiest for the educator or service does not mean they cannot engage! Try not to get frustrated if parents don’t look at your displayed program regularly or understand what you mean when you refer to learning outcomes and frameworks. It is often due to a lack of time and not understanding what those things actually mean…and how they affect their child’s learning. 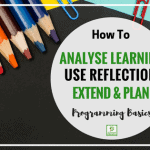 It is up to you as the educator to explain or display this information in a way that makes sense and saves time for them…yet also highlights the fantastic work you are doing to progress their child’s individual learning journey! 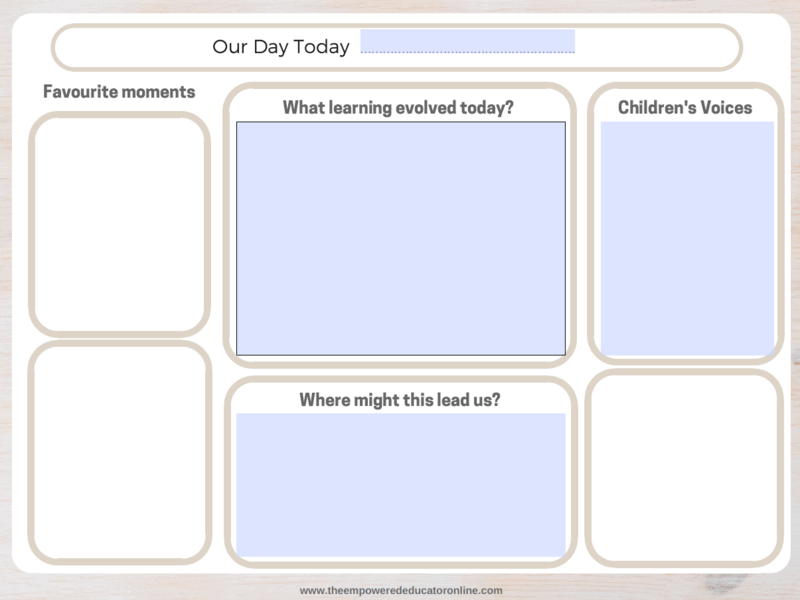 You might like to try using a tool like my Outcome and Learning Area posters to help you communicate how the activities and experiences you plan and set up each day connect to the EYLF, MTOP or QKLG. 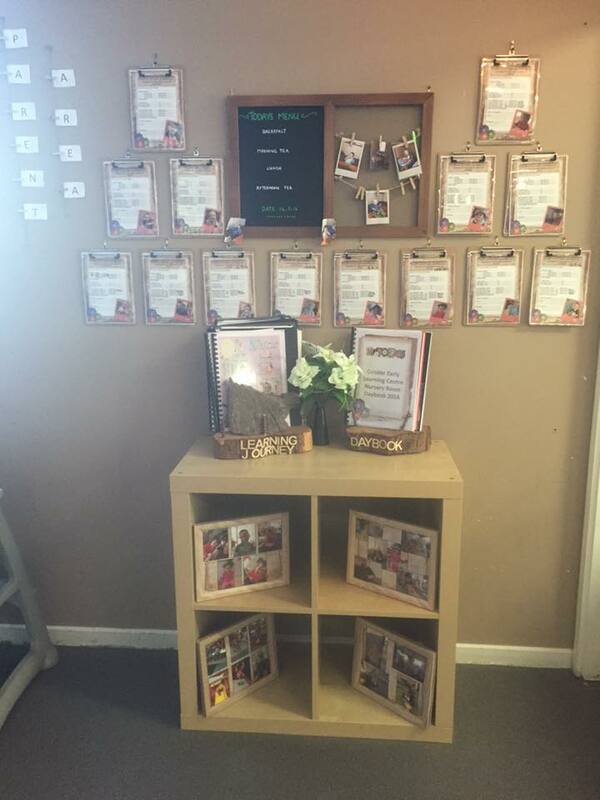 Add a photo to a newsletter and focus on explaining one area each month or display near your sign in/out table to prompt discussion. The posters are colourful to catch a busy parent’s eye and the text is spoken in the child’s voice rather than jargon they don’t understand or have no time for. It’s all about thinking outside the box and making the most of your time to communicate effectively. 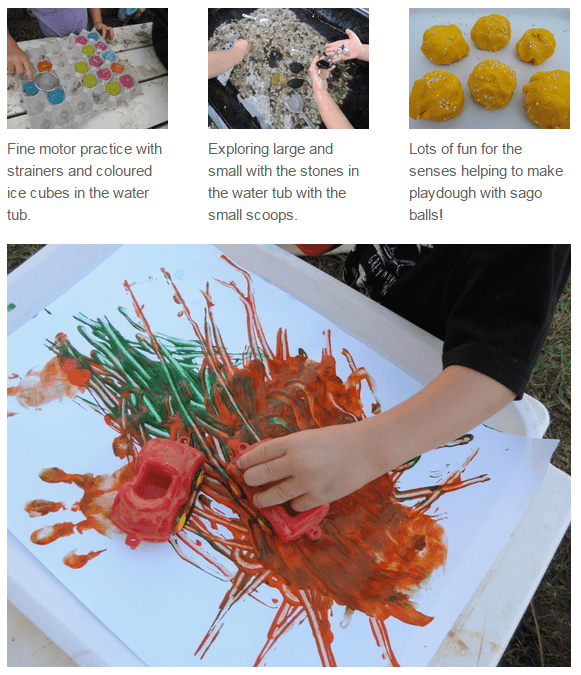 By being a little creative with our communication and engagement strategies we can work towards ensuring families, parents and carers become not only active participants in their child’s learning but also feel connected and supported. I hope you have found these 12 ideas helpful – now choose 1 or 2 and start taking action! Happy families that feel connected to your service with a voice that is heard generally leads to more positive experiences for both educators AND families!! How do you communicate with families? If you have an idea you would love to share why not leave it in the comments below.